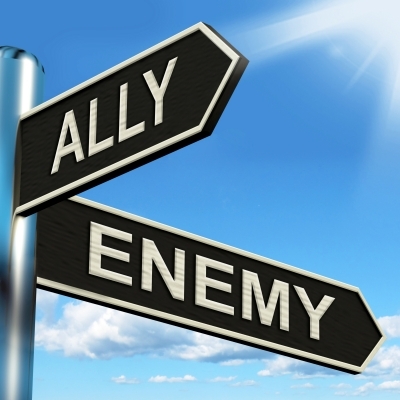 We've begun a series examining the insidious opponents of the Grace of Almighty God. Paul the Apostle of Grace instructs us to stand fast in the liberty we have in Christ. If there exists no opposition or opponent why the need to stand fast? Today I want to expose yet another opponent of Grace. The slithering enemy of tradition. Tradition rears its ugly head when we aren't walking fully in the light of the Gospel. It seeks to fill the void. It attempts to fill in the blanks of areas we are unsure of. Sure we are righteous by faith, but tradition will add but righteousness under the New Covenant still has some behavioral aspect to it. Now to clarify, tradition in and of itself is not always an enemy. For instance, family traditions around holiday times aren't detrimental. Tradition that is birthed by experience and exalts itself over truth is our opponent. The Gospel reveals Jesus heals, tradition looking at experience says nope, healing has been done away with today. As an example when it comes to Grace, religious tradition says Christians are merely sinners saved by Grace. This is a classic case of tradition exalting itself over truth. Yes, they will say but didn't Paul say he was a chief sinner? That is lifting a comment Paul made out of its context and setting. Read that passage in a different translation other than King James and see it more clearly explained, here. Paul was revealing the greatness of God's Grace in saving the worst of us. If He can save me, Paul says, then He can surely deliver and save you. What a glorious Gospel truth. Yet tradition seeks to rob us of identity. The truth is we were a sinner. We got saved by His great Grace and are now the righteousness of God in Christ. Tradition responds, well only sinners need a Savior. True, and what happens after the Savior saves us? Does He leave us in the same state? Righteousness and unrighteousness can't co-exist in the same spirit. So the lie that believers have still have a sin nature is ludicrous and turns God's redemptive work into some partial, shoddy, half complete work. The Person of Grace, the Lord Jesus Christ had something to say about tradition. Tradition makes the Word, the truth of no effect in our lives. Let's see what Paul the Apostle of Grace says about tradition. Tradition makes void, brings to no effect God's truth in our lives. Sadly too many believers filter the truth through their traditions. Yet, because of His mercy and goodness, God still responds to His people as much as they will allow. So how does God interact with those bound by tradition? I heard a great testimony of healing. Now, this event transpired many many years ago. A fellow had some severe pain abdominally. Well, this man of God prayed for his healing. The fellow had belonged to a Pentecostal church. As he ministered the Lord revealed that the brother hadn't been paying his tithes. As soon as he started paying them He supernaturally recovered. As I heard this, I was deeply disturbed. Only God could've revealed that the brother wasn't paying tithes. The man of God who prayed was a traveling minister and didn't know the man. Had no knowledge of who he was or anything about his finances. So this healing occurred only after he paid tithes. I pondered this event. I said, "Lord, there is no curse for not tithing." I said, "under the New tithing is not a requirement." Yet, God seemed to respond to this particular believer as if tithing was a requirement and he wasn't healed because of his lack of tithing. Then the Lord spoke to my heart a truth I have suspected to be true based on the experiences I've heard others share. He shared with me that He is loving and good and will interact, relate and address His people the way they come to Him. If you see God as a harsh taskmaster and come to Him as a timid servant, who is unworthy to even be in the same room, God will relate to you that way. The key is to understand God actually isn't this way. But that is the only way some people will relate to their Father. In a nutshell, God meets people where they are. He will send truth their way until one day they will embrace Him as the true Abba Father He really is. I saw this, it bore witness with my spirit but I needed some scripture to back this up. The Lord immediately responded and told me to look at Matthew 15. See the account in Matthew here. What we see is a woman who is a Gentile. Jesus appearing under Law and ministering under the Old Covenant, was only sent to the children of Israel. She was living in the days before the New Covenant would be established that would grant access to all of God's blessings for Jew and Gentile alike. Yet, she wasn't content with waiting for that day to come. She had the faith that takes. She used her faith to reach beyond the current Covenant and into the New and take her child's deliverance and healing. Jesus commended her saying great is her faith. The Canaanite woman, while currently abiding under the Old, chose to relate to God as if she was abiding under the New and Jesus honored that. Thus proving beyond doubt God will relate to you as you come to Him. This is why we must defeat this opponent of tradition. Tradition will rob us of the full benefits of a rich fulfilling relationship with God. So many mix Law and Grace, blend the Old and New Covenant together and drink this confusing cocktail. They then see God in His mercy relating to them by this standard and sadly try to promote that this is the way to relate to God. In reality, all God is trying to do is to bring them to an end of themselves. An end to their works, efforts and performance and to just receive His Grace and goodness in its fullness. Examine your own heart and thinking. Are you holding fast to the truth or merely embracing tradition? Is God relating to you as a harsh taskmaster? Is God holding you to some standard you created? The children of Israel at Mt. Sinai told God we can keep whatever command you give. God met them where they were and the result was 613 commands that no one can keep perfectly. The answer to tradition is to embrace the will of God clearly revealed in the Scriptures. Look past your experience and with an open heart and mind and just accept what He said. He said you're righteous and not a sinner, just accept it. He said none of His will ever perish but be eternally secure forever, don't fight it, don't protest just agree and accept it. He declared you're forgiven once for all-time. Don't debate it just receive it. Readily receiving God's Word and not debating and arguing against it is how tradition is defeated in your life.